With 34 campsites, Smiling River Campground is by far the largest established campground on Central Oregon’s legendary Metolius River. Many sites at this campground look out to Metolius River which means, if you’re inclined and you pick the right site, you can cast a line right into the river from your seat by the fire. Smiling River’s generous sites that accommodate both tent and RV camping. Howeve,r hookups are not available and the maximum site spur length is 50 feet. A dump station, laundry facilities and a grocery store are located less than a mile away at the Camp Sherman Store. 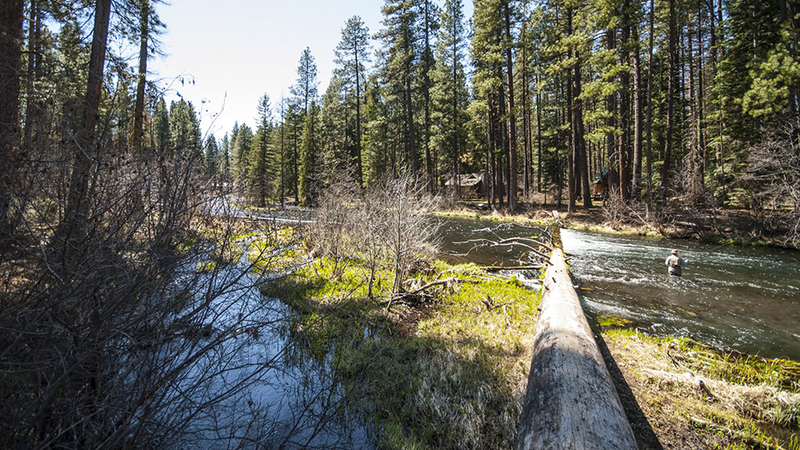 The campsites in this site are more heavily used during the midweek than other areas along Metolius River. However, with ample campsites along the river, it is rare for all the sites to be taken even on the busiest weekend. This campground offers opportunities to fish, hike, bike and explore for $18 per night, and you can make reservations for some sites head of time. There are vault toilets and the water system in campground is gravity fed. Each site has a picnic table and a fire ring and grill.